Hidden Valley Lake main gate to R on Hidden Valley Dr to R on Hickory to R on Longview to R on Hawthorne Heights. Sign on. 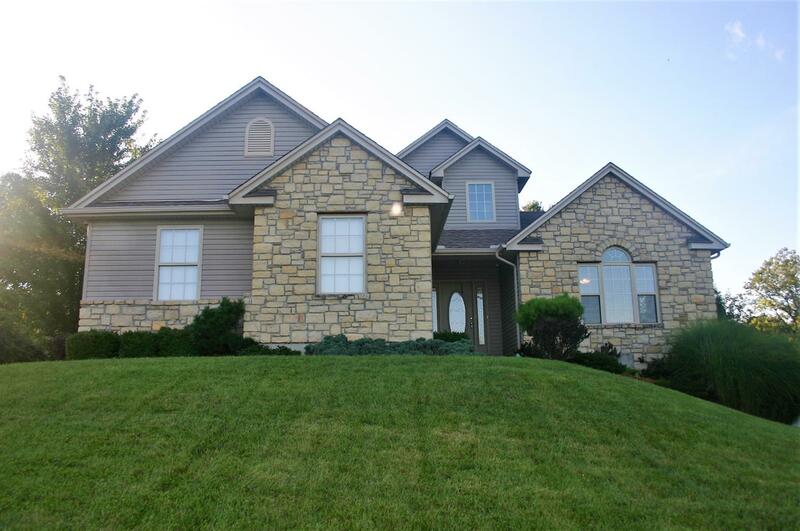 Natural Light Streams in this Open Concept 3 BR/2.5 BA Home! Attractive Stonework Exterior. Large 1st Fl Master, Vltd Ceiling, Loft & Oak Hardwd Flrs Thru-out. Eat-in Kitchen w/Breakfast Bar, Stainless Steel Appliances, Gas FP, & Full Unfinished Bsmt - Easily Finish 4th BR/BA. Newer Furnace. Lake Community 35 Mins to Cinci/NKY. Culdesac St. This listing courtesy of Sarah Jordan (812) 537-4663, Huff Realty 812-537-9669.